Hypothyroidism, also known as an underachieve thyroid, is surprisingly common. But because symptoms of hypothyroidism are so commonly associated with other illnesses, it often goes misdiagnosed or undiagnosed. In fact, according to the Thyroid Foundation of Canada, up to 1 in 10 Canadians is believed to have some sort of thyroid disorder, and about half of those are undiagnosed. 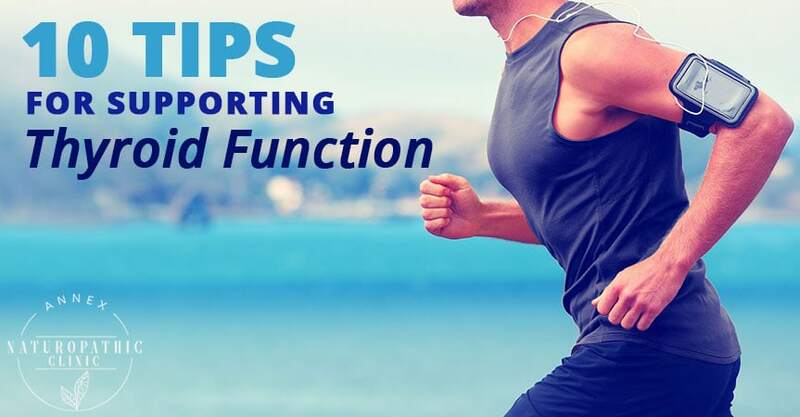 Conventional approaches focus on replacing your thyroid's functions, but this doesn't restore it at all, but rather leaves you dependent on thyroid medication. However, there are naturopathic approaches to thyroid treatment which can restore your thyroid's function. 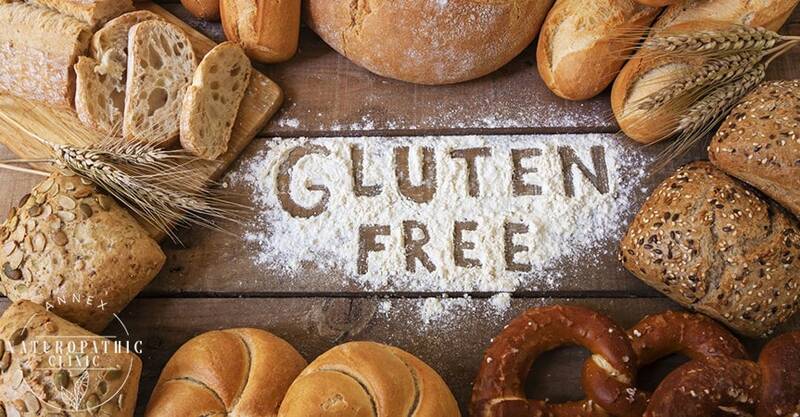 Gluten is a naturally occurring protein found in a number of different grain-based products, including most breads, beer, and anything made from wheat, barley, or rye. One of its functions is to bind the substance together – which is why gluten-free bread has a tendency to be a bit crumblier than its gluten-full cousins. Gluten slows down cellular metabolism as it interferes with the uptake of T3, the active thyroid hormone. Reducing or eliminating gluten containing foods has been shown to improved thyroid function. This doesn't mean you have to start shopping at Whole Foods! A whole foods diet is one focused on fresh, organic, low glycemic food products. It's mainly made up of fresh fruits, vegetables, nuts, seeds, lean meats, and seafoods. These foods are a good idea to eat for most people, as they tend to be more nutrient dense than the prepackaged foods you often find in the middle aisles of the grocery store. They also help to stabilize your blood sugar. Foods containing high amounts of zinc, selenium, and iodine are especially helpful for the thyroid. Some suggested options include brazil nuts and seaweed. Not all “healthy foods” are good for the thyroid. Goitrogens are foods that interfere with thyroid function. Specifically, they disrupt your body's production of thyroid hormones by disrupting your thyroid's ability to take in iodine, which triggers your pituitary gland to release more TSH (thyroid stimulating hormone) than it needs. As a result, your thyroid ends up growing in an imbalanced fashion, which if left unchecked can lead to goiter. These can be otherwise healthy foods which you may already be including in your diet. If you're experiencing thyroid issues, though, it's best to avoid them. If you are going to eat goitrogenic foods, it's best to eat them cooked versus raw, since heat decreases their goitrogenic properties. It should come as no surprise that exercise is good for you, but it's especially good for your thyroid. Exercise improves metabolism and thyroid function by stimulating thyroid secretions and increasing tissue sensitivity to thyroid hormone. A combination of both of aerobic and weight bearing exercise is optimal, but really, any exercise is better than nothing. Most Canadians have insufficient levels of vitamin D, as does just about anybody who lives outside the tropics. But an optimal vitamin D level is essential for your thyroid's proper function. More specifically, your thyroid needs it to properly facilitate the uptake of T3 (the active thyroid hormone) into the cell. However, supplementing with too much vitamin D can be toxic for your system, so it's important to have your vitamin D levels tested by a naturopathic doctor or other qualified healthcare practitioner before supplementing with high doses. When we think of bacteria, we usually think of the stuff we'd like to wash off our hands before we sit down for a meal, but some bacteria are actually helpful. Probiotics are bacteria that are good for you. These are generally found in your digestive system, which is why the best probiotics are food-based. The diversity and quantity of the bacteria in our digestive system plays an important role in our thyroid function. A multi-strain probiotic can be helpful in naturally supporting the thyroid. Omega 3 fatty acids can help support hormone synthesis. They also help T3 hormones, the active thyroid hormone, bind to its receptors. Reducing stress can have a positive effect on your entire body, but your thyroid in particular benefits from it. When you're constantly under stress, your body secretes a lot of cortisol, which can lead to hypercortisolemia. The excess cortisol can slow your thyroid's function, in particular reducing the conversion of T4 hormones to T3. Shifting your lifestyle to reduce stress can have a positive effect on your thyroid. Both the quality and the quantity of your sleep cam play an important role in your thyroid's function. If you're constantly getting only a few hours of sleep each night, it will weaken your adrenal glands, which can lead to adrenal fatigue. And because your adrenal glands are intimately connected with your thyroid, a weakened adrenal gland is often connected with hypothyroidism. Restful, sustained sleep helps regulate the immune system and endocrine (hormone) system thus supporting thyroid health. Naturopathic doctors are able to thoroughly assess the thyroid via comprehensive lab work and by taking a detailed health history. The ND's at Annex Naturopathic are able to give specific recommendation including: type of exercise and frequency, individualized diet plan and lifestyle modifications, appropriate dosing of nutrients and targeted botanical prescriptions. If you feel like you may have a thyroid disorder, contact us at Annex Naturopathic to book a consultation with one of our naturopathic doctors.